It’s rare that Sebastian Vettel gets beaten at his own game. Although it’s been four years since it happened on a regular basis but that’s exactly what Valtteri Bottas managed to do, winning the battle at the start and controlling the race from there impressively. It had been a three-horse race in qualifying as Sebastian Vettel scored his second pole for Ferrari and his first since late 2015. Bottas had been top in Q1 and Q2, with Ferrari saving tyres where needed, despite the fact it would clearly be a one stop race. Vettel beat Räikkönen and Bottas to top spot on Saturday by less than a tenth with Lewis Hamilton conspicuously nearly six tenths down in fourth. Having been in control on Friday and finally finding enough pace to beat Mercedes on Saturday, it looked like Ferrari had this one in control, especially with a front row lockout to manage the race down into turn two. In reality, they had no answer for the fast starting Bottas. With no support races, there was a clear disadvantage to starting on the dirty side of the grid as Räikkönen, Hamilton and Massa all struggled off the line. Bottas was immediately on Vettel’s tail. The German made a solid start but a mixture of Bottas’ lightning reactions and the tow on the long drag down to the first braking zone had Bottas ahead. Vettel was determined not to cede the inside line but placing his car in the middle of the track, Bottas was able to drive clean around the outside without losing momentum. In the end, there wasn’t even a competition into turn two as Bottas could choose his line and fend off any challenge. As impressive as Bottas’ racecraft was off the line, the signs were still ominous. Having benefitted from the tow down the front straight at the start, it looked as though the Finn may be hoisted by his own petard at the restart. Bottas was one step ahead though and caught Vettel napping as he started a phenomenal first stint by leaving the field behind at the restart. Bottas was in a class of his own as Ferrari couldn’t handle the Finn’s pace. However, as the stint went on, Vettel and Räikkönen started to make inroads, having slightly fresher tyres from their shorter qualify runs. Bottas pulled the trigger first, pitting on lap 27. Ferrari weren't going to be drawn in though. Even with enough of a gap to defend the overcut, Ferrari didn’t react to Bottas with Räikkönen pitting on lap 29 and Vettel running a marathon first stint, pitting on lap 34. It looked as though Ferrari were throwing away a race win as Bottas made the most of his fresher tyres but in fact the strategy worked perfectly. Vettel had a quicker car and far fresher tyres but he was chasing down an Iceman; the only sign of melting came on lap 38, with a big lock up nearing the end of the lap, narrowly avoiding the wall. 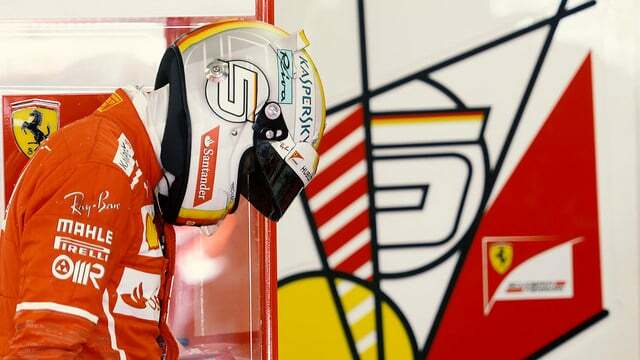 It was a gift, one that kept giving for Vettel, with the vibration and tyre degradation hampering the Finn until the end. That only strengthened Bottas’ resolve. Vettel gave it his all, and despite an interesting strategy by Ferrari, came within six tenths of beating Bottas; but his challenge was ended as he lost momentum lapping his predecessor Felipe Massa at turn four on the final lap. Either way, not bad for a number two driver as Bottas truly put Hamilton in the shade, beating his triple world champion teammate in qualifying by half a second and then in the race by 36 seconds. Bottas always goes well in Russia but he rubbished talk of Mercedes using team orders early in the season. It’s been tough to measure Renault’s genuine pace so far this year. Hülkenberg has been holding the flag for the French team with Jolyon Palmer languishing towards the back of the midfield. Some of his problems haven’t been his fault, and when he did string a weekend together, the Brit made it through to Q3, but in Russia anything that could go wrong did. 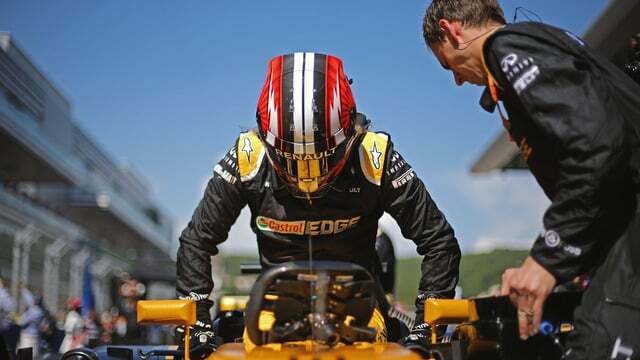 Palmer lost a lot of running, including missing the whole of Practice 3, but then desperate to make amends he made a clumsy error in qualifying and then was involved in the only incident in the race, an unfortunate but avoidable 50/50 with Romain Grosjean. On the other side of the garage things were far smoother, with Hülkenberg sailing into Q3 and giving the Red Bulls a run for their money through qualifying, posting a lap time just over a tenth behind Verstappen and proving that Red Bull’s problems aren’t all power-related. When it came to the race, Renault’s race pace problem gave Hülkenberg a real fight to score points for the team but the German battled on, using a contra strategy to stay in the fight with the Force Indias and Felipe Massa. Nico ran a very long first stint, showing his tyre management mastery to run the ultrasofts until lap 40. Until stopping he had moved up to best of the rest in sixth but dropped to ninth, though his great performance was rewarded as Felipe Massa had to pit two laps later for a slow puncture. It was a great effort to score four valuable points for the team. Renault will be desperate to get their race pace on a par with their Saturday pace, with both drivers having clean weekends, but until then eighth is their limit. And while Hülkenberg may have been helped on a circuit that didn’t allow a single on track overtake during the race, his drive was commendable regardless.